December | 2015 | I Haven't Had My Coffee Yet -- Don't Make Me Kill You! 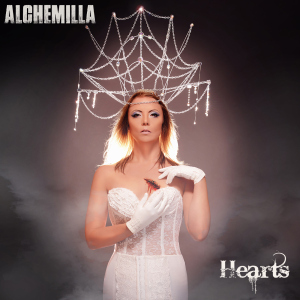 I discovered Alchemilla‘s 4-song EP, Hearts, through the disc’s producer, who’s an old music industry friend of mine. He was raving about the band, and my old music biz contacts are often great sources for discovering talented new bands, so I took a listen to the advance promo video for Hearts and was intrigued; then, when available, the EP blew me away. Since discovering the band about a year ago, I have tried on a few occasions to catch a live performance but have always had schedule conflicts. One day I’m sure you’ll see a live review of one of Alchemilla’s shows in this blog. For now, however, I’ll give a quick review of this four-track EP.